Patients who meet with Dr. Byron W. Wall will let you know that he is one of the leading dentists in Albuquerque. He offers the latest in cosmetic dentistry and advanced restorative dentistry, all grounded in a belief in the fundamentals of general care. Part of the good general dentistry is patient education, which is why we would like to identify some of the most common bad dental habits. 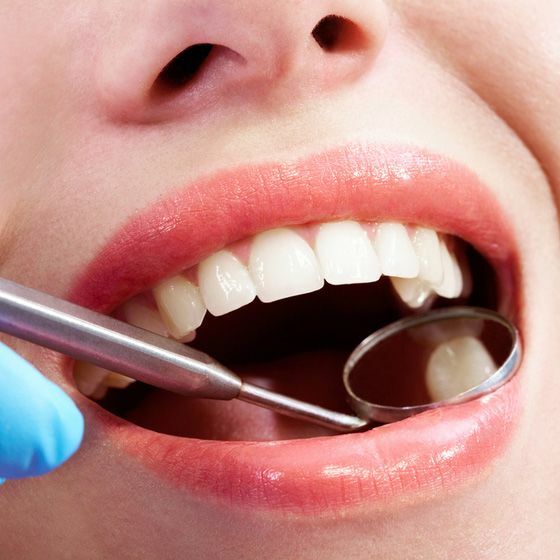 Here's a list of things that you should avoid if you want healthy teeth and gums. People should brush their teeth at least twice a day to remove food particles and plaque from their teeth. Ideally, brushing after every meal is encouraged to fight tooth decay. Many people simply don't brush their teeth enough, and that a problem. Flossing is crucial for getting those food particles that a toothbrush can't get. It's a good idea for people to floss their teeth every night. As with brushing, it's best if people floss after every meal. Sometimes the issue isn't the frequency of brushing but how intense a patient is when he or she brushes. When you brush and floss too hard, it can cause serious harm to the gums. In fact, many cases of gum recession are the result of people brushing or flossing too hard. Be gentle yet thorough. Cigarettes, cigars, and chewing tobacco all can cause major harm to the teeth and gums over time. Keep in mind that tobacco products affect all aspects of your health, from dental wellness to general wellness. It's all just another great reason to quit for good. Many people absentmindedly chew on their fingernails, pen caps, ice cubes, and drinking straws. This may also be triggered by anxiety. Doing this is bad for your teeth, and can potentially cause chips and cracks. Be sure to stop doing this to keep your teeth as healthy as possible. You've likely opened a bag of chips with your teeth, or perhaps another kind of packaging when you couldn't do it with your hands alone. Like chewing on hard objects, this can lead to chips and cracks if you aren't careful. Just stick with scissors when it comes to pesky packaging and use your teeth as they were intended. If you play contact sports, participate in combat sports, or work in an occupation in which face or head trauma may occur, it's a good idea to wear a protective mouthpiece or face protection of some kind. This prevents trauma to the mouth that can lead to chipped teeth, cracked teeth, or tooth loss. The oral bacteria that causes tooth decay and gum disease loves sugars and carbohydrates, which means that excessive snacking on candy or consumption of sodas can increase your chances of experiencing tooth decay. Consider healthier snacks instead to keep your smile as healthy as possible. For more information about bad habits when it comes to dentistry and how you can avoid these issues, be sure to contact our cosmetic and restorative dentistry center today. Dr. Byron W. Wall and his team will work closely with you to ensure your smile is healthy as well as beautiful.